Chelsea have made only s single signing bringing Italian ace Jorginho from Chelsea but this is set to change according to reports from Skysports. 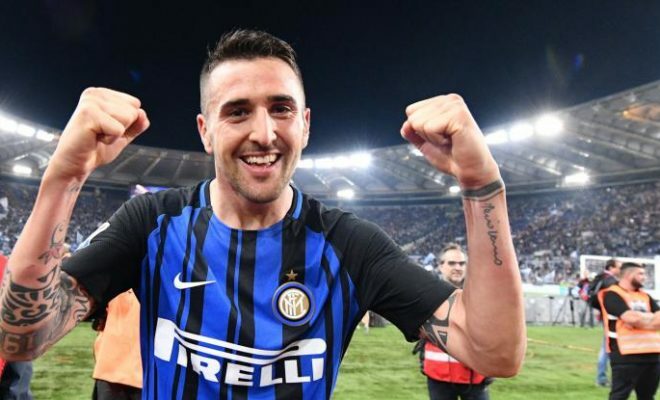 However, Chelsea FC are holding talks with Inter Milan to sign Matias Vecino, according to Sky Sports News reporter Dharmesh Sheth. According to Sheth, Chelsea have already established talks with Vecino’s representatives and Inter Milan Chiefs. He also added that Inter Milan has have set an asking price of £32 million for the defensive midfielder. Vecino stock has risen in the past twelve months at Inter Milan having moved last summer from Fiorentina to the Milan based outfit. Known for his composure and tackling ability Vecino was one of the unsung heroes at the just concluded FIFA world cup in Russia. His performances in the middle of the park were vital as Uruaguay reached the quarterfinals of the mundial. Chelsea are willing to pay £26 million which is 6 million less than Inter Milan’s evaluation of the player. However, the talks are believed to be positive as Sarri plots his first eleven for the blues ahead of the season opener next week. Vecino is seen as a cheaper long-term partner for French star N’Golo Kante as Sarri switches towards a more attacking approach. Chelsea fans would be hopeful of the transfer to be completed this summer as the Blues deficiency in the midfield was open for all to see in the defeat to Manchester City during Sunday’s community shield match. Venico scored goals and 3 assists as Inter Milan secured 4th place in Serie A last season.